The Moptop: I'll tell, and think it, and speak it, and breathe it. I'll tell, and think it, and speak it, and breathe it. Well, I will be spending my sunday evening with my lovely boyfriend, possibly sharing a bottle of yummy white zinfandel, and without a doubt... relaxing. I only have a couple of days left until I'm on my spring break for college. I'm looking forward to that of course. Thanks and welcome new followers!! I've made it over 100 :D I'm very excited about that. Well I hope you all have a wonderful Sunday evening and a great Monday! Loving the outfit, especially the vest! So cute! Gorgeous, especially the last photo ! Ooooh I love this full length ensemble you got going on here and that waist coat is a nice touch too. Well styled. I love the second to last shot. Ill definitely be checking your blog out again, its loveellyyyy. I loveee the vest. Adorable! I just adore the vest with his dress. The hat pulls the whole look together. Gorgeous! 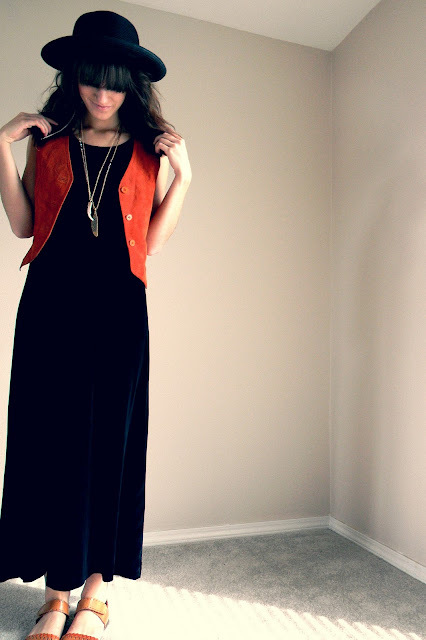 I love the vest - it is the perfect accent piece ! i would like to take your style and sprinkle it on me ! this is so great. 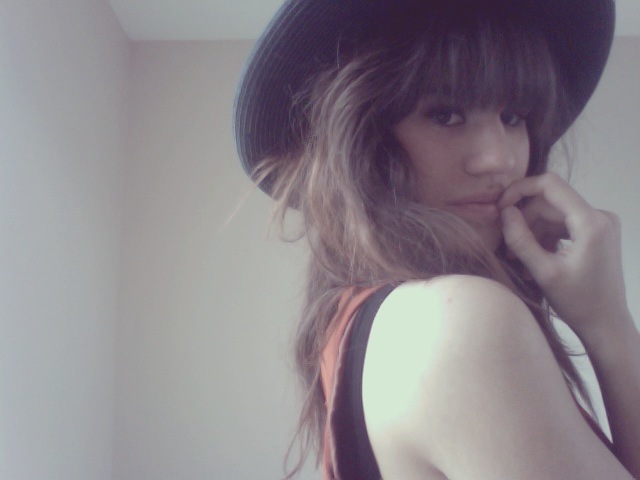 i love the hat espesh! 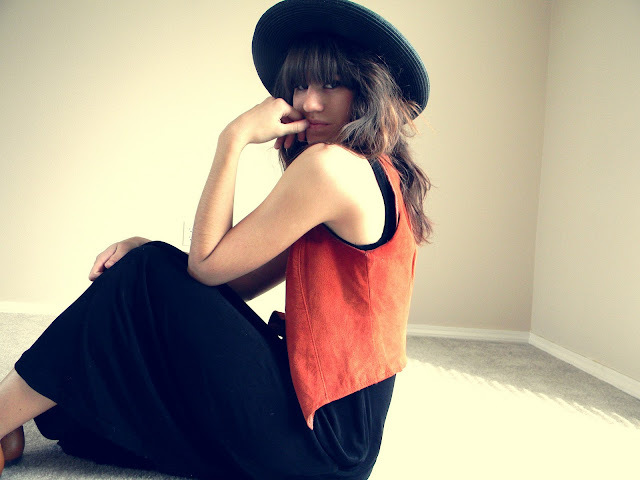 im in love with your vest and hat! love it! Oooh, I love this dress! 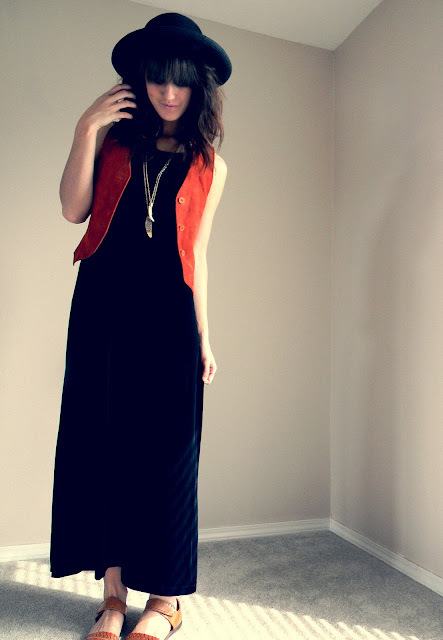 The maxi length looks great on you. I really love the vest you paired it with and that hat! I need a good hat like that for the spring. i love your look! following now! this might be my favorite look you've ever worn!! and thanks so much for your comment. to answer you question, i was a buyer for a couple of years for a store in l.a., and i gathered soooo many treasures then! also vintage stores.....and now working for planet blue i cant help but by things wayyyy to often!! so beautiful. x hivennn p.s enter my giveaway? i love your hair and this vintage look. great maxi dress! cool and chic! I love your hat! I'm wearing my trusty black maxi right now. The possibilities are endless with it. Love how you styled yours. 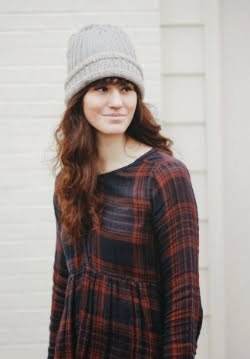 Love the entire outfit, especially the dress because it comes from etsy ;)!!! You look great! awh this is a beautifull look! Loved it!